Sewing machine, basic sewing supplies, fabric (some will be provided), rotary cutter, blades and cutting surface, mini iron and ironing mat for your sewing table - we will have multiple ironing stations located around the room for everyone to use, individual lamp for your sewing table, extension cords, serge protector, favorite chair if you have one you're partial to, quilts and projects for show and tell, books for Mary Ann and China to sign, creature comforts for your room in the inn, a light jacket in the event the room becomes chilly. Mary Ann and China will bring pieces of their work and the work of others from the collective that are available for sale. If you find yourself interested in purchasing any of these pieces you may do so. Payment method will be by cash or a check. 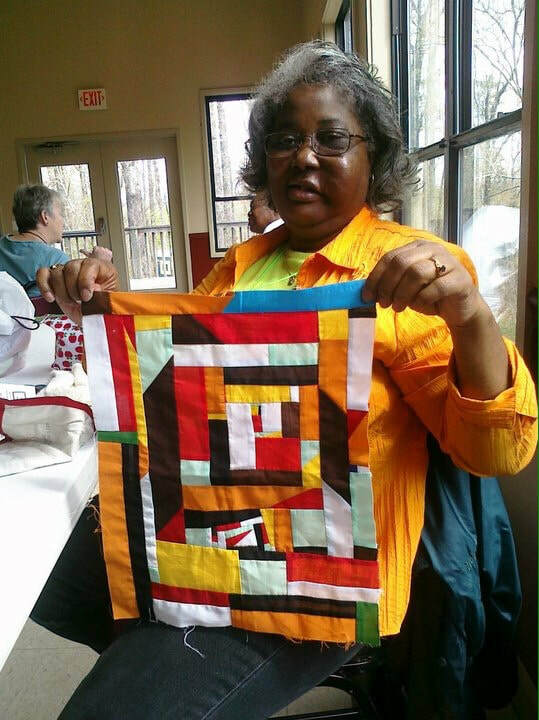 Gray Center invites you to join us for a quilting retreat with China Pettway and Mary Ann Pettway of the Gee's Bend Quilting Collective. China and Mary Ann will share their unique quilting styles as participants explore the work of their hands and the spirituality of quilting. It's most likely you will want to piece your quilt top on a sewing machine but some participants may prefer to hand piece and hand quilt. It's reasonable to anticipate completing some quilt squares or a quilt top. You may even find that you have time to begin quilting. Everyone will be invited to work at their own pace. No previous quilting experience is necessary. How is the weekend structured? What will we be working on? What do we need to bring? 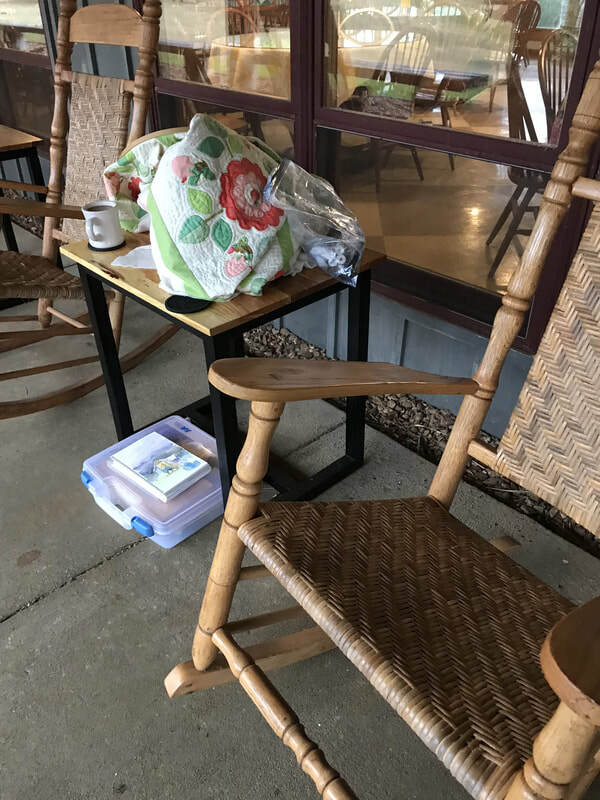 How can we best prepare for the retreat? All great questions! 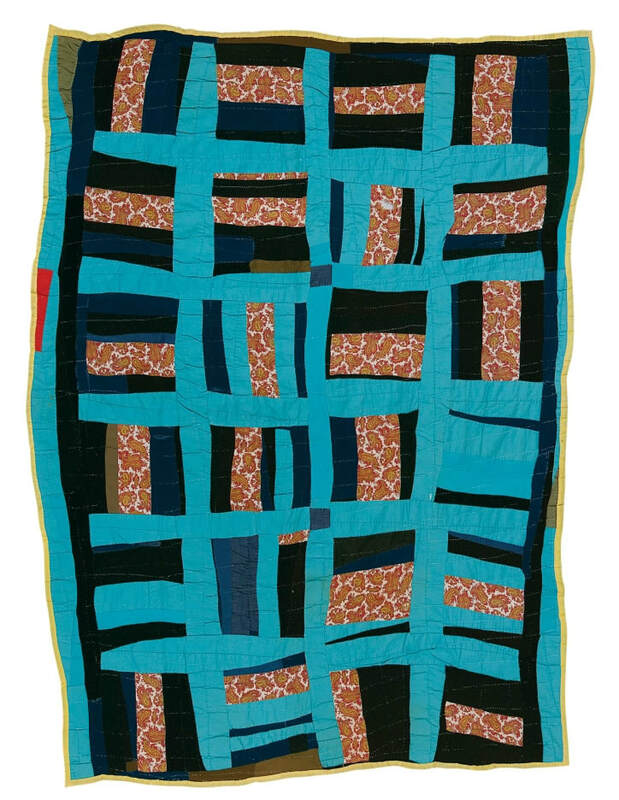 This retreat offers an open ended, unstructured approach to quilting. Rather than focus on one project for the entire group, everyone will work independently on their own project. Your instructional time with China and Mary Ann will be one-on-one as they guide you in creating your project. You will also have time to sit in their work space and learn by observing first hand the techniques that they prefer. Come ready to learn, to be stimulated, to explore and to create! All experience and skill levels are welcomed. Enjoy an introduction to Mary Ann and China in this video. 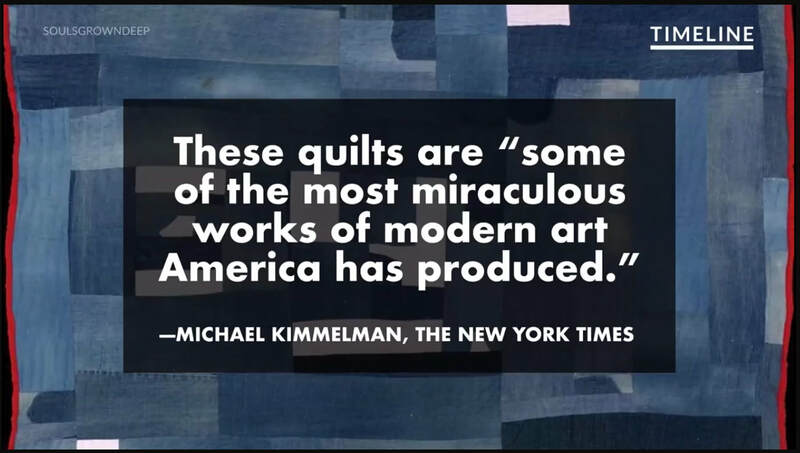 Enjoy this beautiful video from The New York Times - November 13, 2019. Click here to view New York Times November 13, 2018 video. Enjoy this outstanding video from Timeline - May 10, 2017. There was a clear sense that we were being tended to and cared for. Thank you! 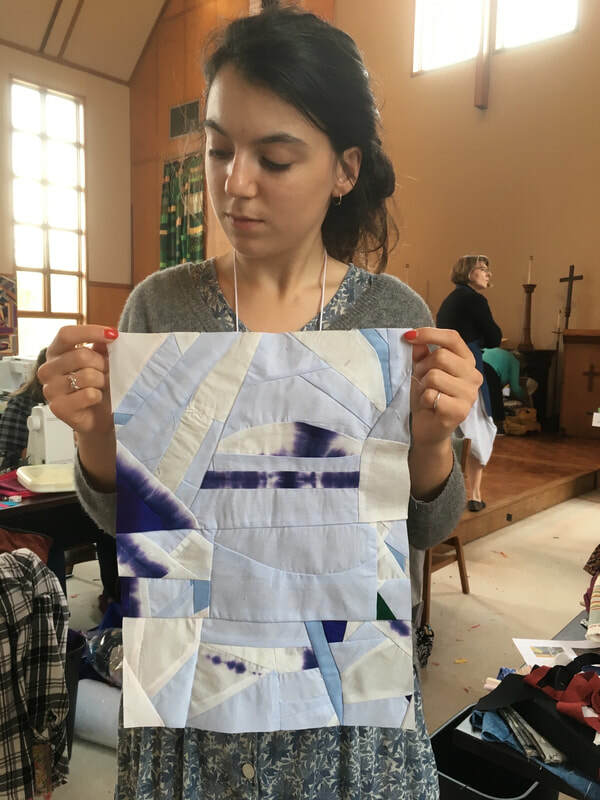 The ease of learning to quilt from all participants and from Mary Ann and China. The time spent with remarkable women, fellowship, generosity of spirit. China, Mary Ann quietly encouraged and informed all. The rampage bins where all found unique inspiration from same resources was a fascinating metaphor. The massages were a wonderful gift. Seeing new people light up to quilting and enjoying the community of these gifted women. China and Mary Ann - loved the guidance and the singing. The fellowship with everyone was so good! ​The diversity of the participants; the lack of pressure imposed by anyone except one's self; the encouragement and freedom of expression. As we were saying goodbye, a participant looked me in the eye and said, " I want you to know this has been the most wonderful four days of my life." The beautiful location and excellent staff. The prayers and singing set the atmosphere. ​Love, togetherness, joy and devotion to each other. Love pouring out of the hearts and souls of strangers who inspired, encouraged, helped, offered advice, cared, made me feel included. I knew I would have a wonderful time but my heart is swelling with joy and appreciation. Meeting other quilters, friendly, helpful, loving, sharing. What a delight. Includes program, lodging and meals. If you will be needing airport shuttle services you will forward your flight information to retreat coordinator, Anne Robertson for coordination. Once the shuttle scheduled has been Anne will be in touch with details and payment information. the 45 minute shuttle between the airport and Gray Center is typically $40 each way. Nonrefundable. Nontransferable. Deposit deducted from total fee. Final payment is due no later than one month prior to your retreat. To register after these dates, please pay full amount. Space is available in August 2019! 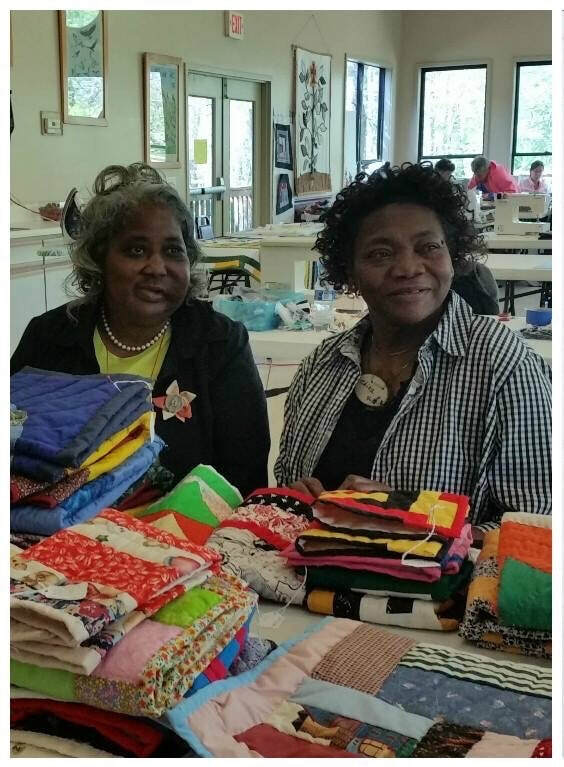 7:00 China and Mary Ann will share the story of the Gee's Bend Quilting Collective, it's history and their part of this amazing group of artists. Three generations quilting together. 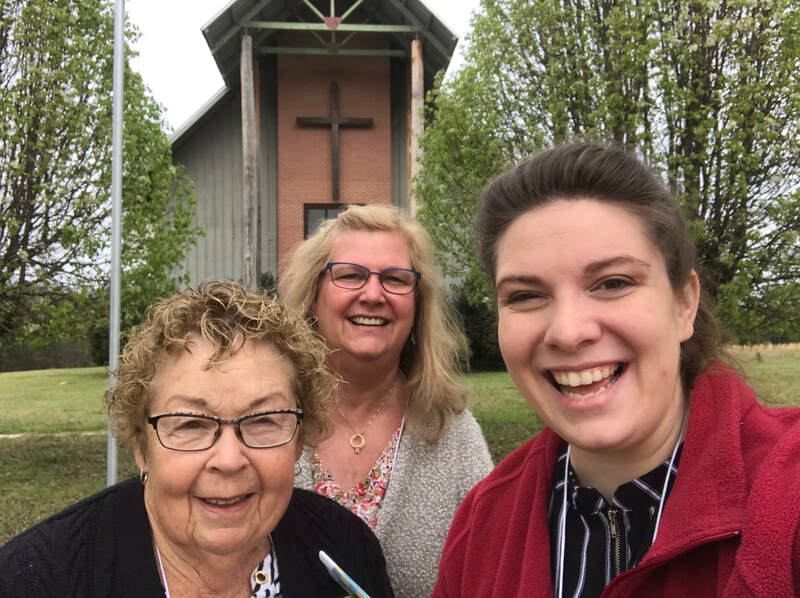 Grandmother, daughter-in-law, and granddaughter with great grand child on the way!